On the day of a major exam that could help determine her future, eccentric Vivek decides to take a slightly strange stand against the system. When things don’t go as she planned, well-heeled and cute Ashwin gets caught up in her antics and the two play truant from school. As the young would-be couple wanders the streets of Mumbai and gets to know each other, the past, present and future of their relationship play out in hilarious and magical ways. Deftly dodging the stereotypical approaches that focus on teenage women in terms of matrimony or victimhood, THE ODDS is the special kind of tale that revels in the joys of being young. Amidst the teenage awkwardness of attraction, the desire to express yourself in a way never seen before, and the fear you might not be as special as you think, writer/director and IFFLA alum Megha Ramaswamy tells the kind of story about growing up in India today unlike anything you have seen before. 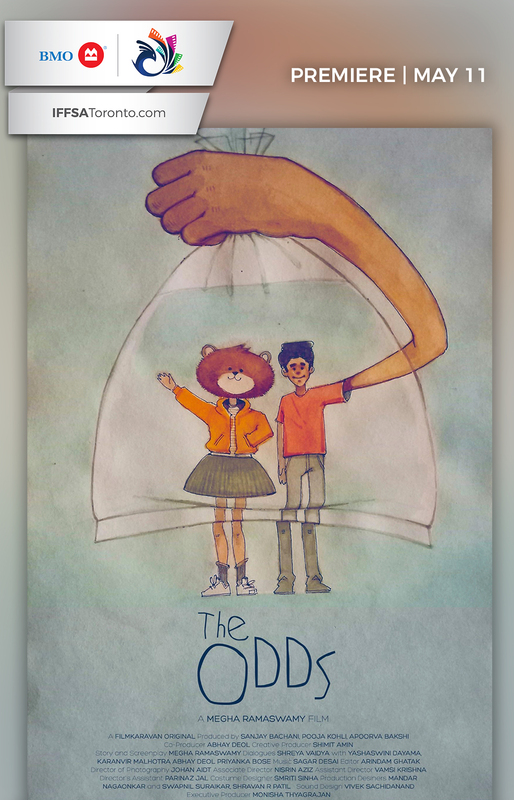 A fairy tale inspired by the real world, THE ODDS is for the young, the romantic, and the odd. Megha Ramaswamy is a filmmaker and writer based in Bombay. Her first two films, NEWBORNS (2014) and BUNNY (2015), both had their world premieres at the Toronto International Film Festival. The films have since won top honors at several Indian and international festivals. They are also a reflection of Megha’s versatility–while NEWBORNS is hybrid documentary based on testimonials of acid violence survivors in India, BUNNY is an enchanting exploration of childhood fantasies and fears. Megha is a beneficiary of the prestigious Chicken & Egg grant for women filmmakers, and is now debuting her first fiction presentation, THE ODDS, set in her own whimsical version of Mumbai.